Jim Adox joined Venture Investors in 2006 as a managing director and heads up the Ann Arbor, Michigan office. He leverages his technical, operational and venture capital background by focusing on investment prospects in medical devices, diagnostics, and healthcare IT. Jim currently serves as chairman of the board of directors of Tissue Regeneration Systems, where he was a co-founder and the company’s first CEO. He serves as chairman of the board of directors of HistoSonics, a company Venture Investors spun out of the University of Michigan and led the $15M Series A financing. In addition, Jim serves on the board of directors of SkySpecs and is a board observer at NeuMoDx Molecular. He was previously a board observer of LenSx (acquired by Alcon for up to $744M) and ReShape Medical (acquired by Enteromedics). Jim is on the board of the Michigan Venture Capital Association and was its chairman from 2013-2015. Jim’s prior venture capital experience includes a combined nine years as a partner at RidgeLine Ventures and EDF Ventures. Jim was a co-investor with Venture Investors while a partner at EDF. During this time, Jim helped launch and was the CFO and a board member of HandyLab (acquired by Becton Dickinson for $275M), and Xtera Communications (XCOM) by serving in the operating roles of CFO and general manager until a management team was recruited. Prior to his venture capital positions, Jim had nine years operating experience both domestically and internationally. In these roles, he wore many functional hats: marketing, engineering, business development, and operations. 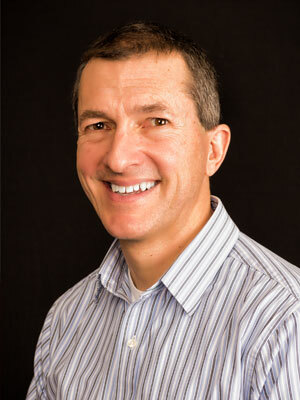 Jim currently serves on the boards of directors of Ann Arbor Triathlon Club and Michigan Venture Capital Association. He is on the investment advisory committees of Invest Michigan and Invest Detroit. He is also fundraising team leader of Ann Arbor YMCA’s Annual Campaign. Jim earned a B.S. in mechanical engineering, an M.S. in mechanical engineering and an MBA with High Distinction, all from the University of Michigan. He is a competitive triathlete and an IronMan finisher.